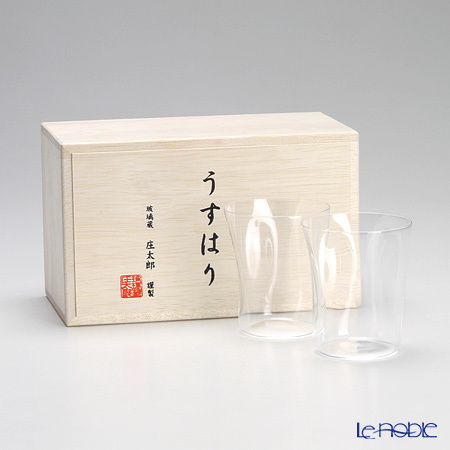 In 1922, Shotoku Glass started manufacturing mainly light bulbs in Tokyo, before moving to the current location (Kinshi, Sumida-ku, Tokyo), in order to begin the manufacture of glass tableware and art glass. 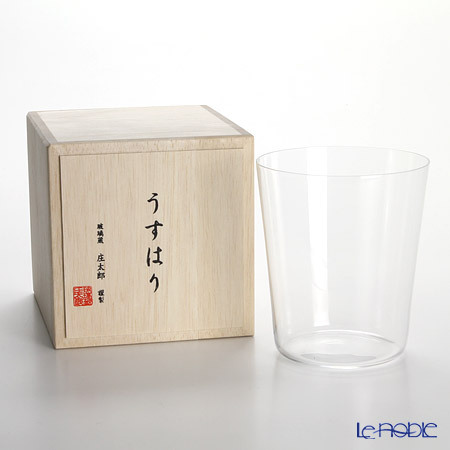 With their special technique to make light bulbs, a very thin glass in 0.9mm thickness called "Usuhari" was created by the skilled artisans. You can find the thinness of the side and the bottom of glass look equal! 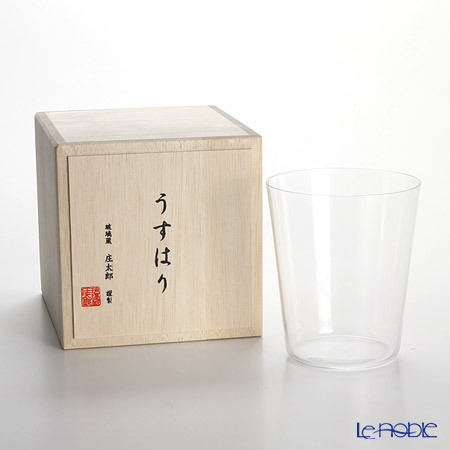 That's the point to recognize "Usuhari" from other thin glass.